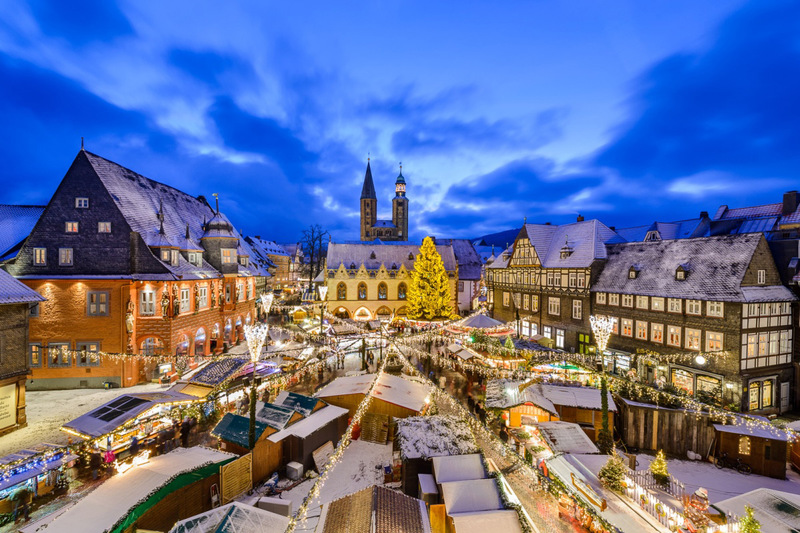 At the traditional Goslar Christmas Market there are numerous festive events to enjoy. You will see musicians performing seasonal music or meet the "Goslar Angels" and experience a very special version of the famous Goslar chimes. And there is a lot more to explore at the Christmas Market that will make you catch the Christmas spirit. At the first and second weekend of Advent you can expect to find a wide variety of genuine arts and crafts as well as a range of typical German food such as stollen cake and gingerbread hearts at the Kloster Wöltingerode. Christmas at the Rammelsberg Mine is an unforgettable highlight when the mine gallery, the ’Röderstollen’, radiates in a sea of lights and an unusual Christmas market can be visited above and below ground on 10 and 11 December 2016. On 6 December children watch out for St. Nicholas who will pay the Christmas Market a visit. And one day in December it is time for our special family day including an extensive children’s programme. In Goslar there is a lot of magic to look forward to this Christmas season.